“Home away from Home” – business people and families are welcome. AA Highly recommended and S.A. Tourism Grading 3 Star. We have 4 varying units, from a family of four 2 bedroom unit; the 1.5 bedroom for a couple and child; to a double en-suite. The Guesthouse which sleeps 6 is a self-contained 3 bedroom house. Air-con, DSTV in every unit and serviced daily. 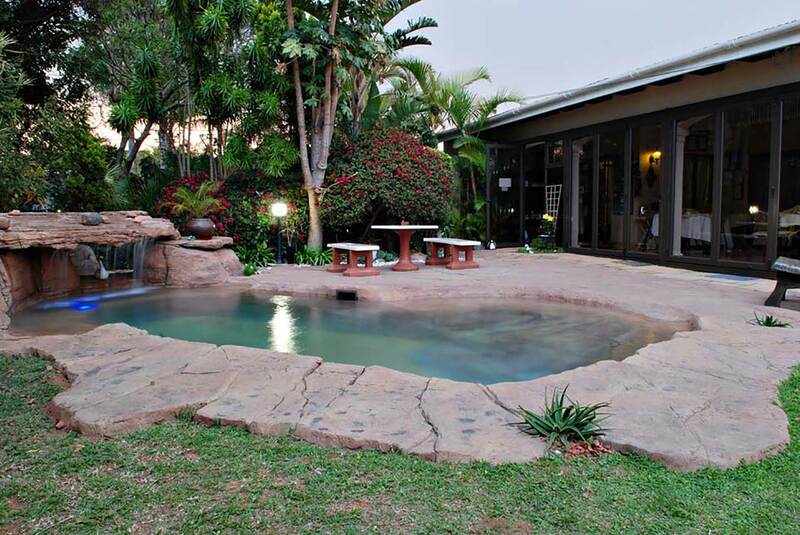 Peaceful pool area, with private Braai’s, and secure parking.